Ah, the good old days, when every phone, MP3 player, Walkman, and toaster included a pair of pack-in earbuds. These days you're lucky if you get a damn power adapter (just ask the folks over at Nintendo). 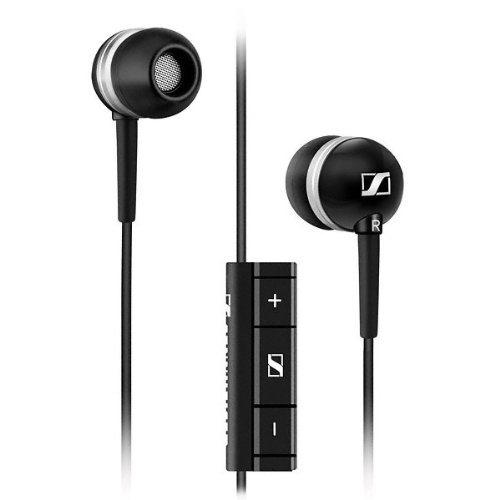 If you're still using the ancient headphones that came as a freebie in you Nexus One or a long-forgotten iPod, then take a gander at this Sennheiser set over on Amazon. The MM30G, complete with in-line music controls and a mic, is $50 off of the retail price for a cool $24.99. Sennheiser is one of the better audio brands, especially if you want good sound at a reasonable price - the kind that your audiophile uncle begs you to buy instead of Beats or Monster. And this particular set has four out of five stars after more than 150 Amazon reviews. It comes in both iOS and "Samsung Galaxy" versions - choose the latter and the controls should work for most music and video apps on any Android device. The MM30G comes with the usual three sets of silicone ear pads, which should fit all but the biggest or smallest of ears. While the MM30G is often discounted from its somewhat steep $75 price, it's not usually this low, and Amazon Prime subscribers get free shipping to boot. This isn't a Gold Box or daily deal, so the price may stick around for a while, but you'd still be wise to grab a pair quickly if you want one.